Locals know to escape the heat, head to the rolling hills and expansive pasture land of Kula, and the quaint communities beyond of Ulupalakua and Keokea. Kula means “open country”, and this loosely designated area that sits between 1000 feet to 8000 feet elevation, is known as the breadbasket of Maui. The “farm to table” phenomenon has catapulted many gardens and farms into creating some outstanding farm tours and tasting opportunities of their locally made products. 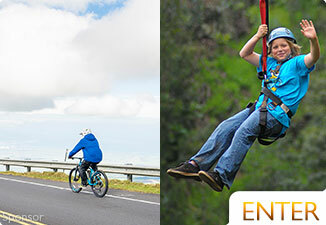 Relaxed and slow- paced, the regionʼs farming and ranching history and shear isolation, as there is no direct public road connecting it to South Maui, have helped to maintain the “vibe” we know and love as Kula. Heading along Hwy 37, make sure to pass the turnoff for Hwy 377 that takes you to Haleakala Summit, and continue on Hwy 37 through beautiful Kula to begin your journey. 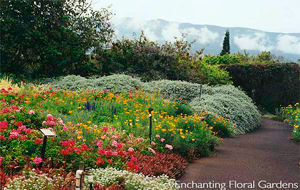 The area is known for its tropical gardens, lavender, protea, sweet Maui onions, goat cheese, coffee, carnations and orchid for leis, cattle, and plenty of generations old farms, cowboys, and artists. Stop in to one of the handful of eateries and cafes that dot the hillside. With amazing views of the ocean below and a cool breeze, this part of your Maui vacation will be a welcome reprieve from the busy tourism hubs of Kihei and Wailea below. The area that makes up Kula, KeoKea and Ulupalakua is primarily comprised of three large ranches Haleakala Ranch, Kaonoulu Ranch, and Ulupalakua. In the mid to late 1800s, the Great Mahele occurred, which divided up Hawaiian lands for sale, and these influential families began acquiring the land for use. Many Chinese and Portuguese laborers, after fulfilling their contracts, moved into the area to farm the land. They were soon joined by a large number of Japanese and Korean immigrants who have maintained the agricultural character to this day. Today the real estate values in Kula rank as one of the priciest in Hawaii. With its quaint communities, low traffic, cooler temperatures, and impeccable views, the property values have skyrocketed. And, a new type of residence now dot the area. The “gentlemanʼs farm”, comprised of a plot of land, and a large upscale home is becoming more frequent. Beginning in Lower Kula and heading into Kula driving South/East along Hwy 37 toward Hana. Kula, Award winning vodka made on the slopes of Haleakala. Tours available. Kula A favorite for families and foodies alike. This farm is known for their 18 national cheese awards. Favorites include Udderly Delicious, Ole, and the Men’s Challenge made with horseradish. Try their line of goat cheese chocolate truffles or lilikoi (passion fruit) goat cheese cheesecake. Enjoy any of their platter or treats at the outdoor cafe. Petting and milking opportunities for the kids. Tours available. 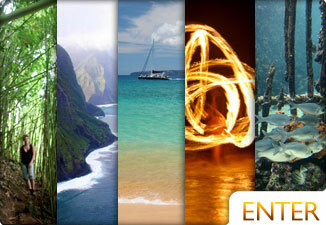 Offering a variety of tropical and asian trees, shrubs and flowers. The gardens offer a small gift shop,the Hibiscus Cafe, and is well worth the stop. Authentic French cuisine made by Chef, Thierry Michelier. Crepes, flaky croissants, and filet mignon, with the option to dine al fresco taking in the ocean views. Kulaʼs most notable landmark, the brilliant white, octagonal structure can be seen from South Mauiʼs shores. This gift from the king and queen of Portugal to the islandʼs Portuguese plantation workers was built in 1894, and has been recently restored. Formerly Cafe 808, this restaurant has undergone a major renovation. Specializes in homestyle food with an Italian flair, youʼll find pizzas, pastas, great breakfast food and homemade desserts. Located across from the Morihara Store, where purchasing alcohol for BYOB is an option. Small Grocer and Convenience store. 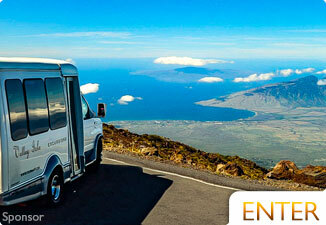 This rustic restaurant is a favorite breakfast spot for those coming down from catching sunrise atop Haleakala Crater. Warm up beside the fireplace, admire the art in the downstairs gallery, and enjoy a tasty loco moco while admiring the impeccable views. Be sure to stroll the garden in the back before you go. Offering a wide variety of specialty gourmet foods and locally made products, including jewelry, pottery, heirloom quilts, and arts and crafts. 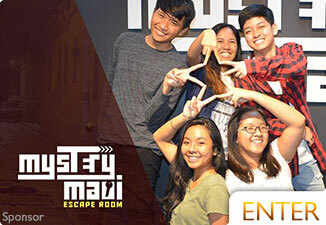 Diners can expect French toast with home-made Portuguese sweet bread, and country omelets with fresh local veggies, and kalua-pork sandwiches for lunch. There is a gazebo and terrace, with ocean views. Established in 1968, this 6 acre botanical garden has a wide variety of tropical plants. Gift shop with snacks for purchase. This is a great farmers market run by a 4th generation of families. Fresh island sweet Kula Onion, sweet Kula corn, and strawberries. There are also fresh baked goodies, jams, jellies and fresh cut flowers. Lavender products, lavender infused biscuits and tea for dining on the grounds. Take a self-guided tour around the property or opt for the guided tour for more information about growing lavender in Maui. The Kula Festival happens here in September. This grower placed 5th Statewide in Cupping Competition and 2nd place Maui District, recently. 9226 Kula Hwy, located next to Grandmaʼs Coffee Shop. 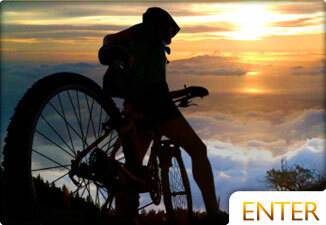 Offers some convenience products, souvenirs, and locally made gifts. A local favorite with itʼs screen door, rustic one-room plantation-style cottage, and home made treats. A tradition for the past 50 years, offering breakfast and lunch. Seating very limited. This unique hospital, originally known as the Kula Sanitarium, was built in 1910 by Dr. W. F. McConkey to help battle the increase of tuberculosis. Small roadside park honoring the late Dr. Sun Yat-Sen. Yat-Sen (1866-1925) is often referred to as the father of modern China. This revolutionary political leader served as the first provisional president of China after the overthrow of the Qing dynasty in 1911. Ulupalakua Ranch donated land in 1989 for the park that now hosts a bronze statue of itʼs namesake. Traveling on Hwy 37, the road changes names to 31, about a mile past is the winery on the left, you canʼt miss it. 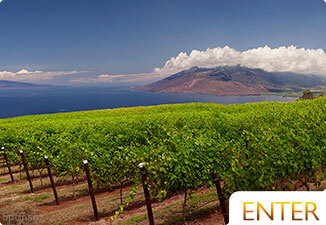 In 1974, Tedeschi Vineyards was established here on Ulupalakua Ranch, and the name recently changed to Mauiʼs Winery. 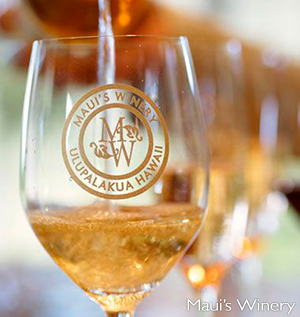 In 1977, the winery experimented with pineapple wine and released their unique Maui Blanc Pineapple Wine. The top seller is the Maui Splash, made from pineapple and passion fruit. Make sure to stop by the tasting room, and then walk or picnic on the beautiful grounds. Located directly across from the winery, this is a great place for lunch. The store opened in 1849, and now houses a small deli where patrons can find made to order deli sandwiches or hot off the grill specials made from the ranchʼs livestock, like beef or elk. Enjoy yours outside on the veranda. Owned by the Baldwin family, it was incorporated in 1888 and has been run by five generations. H.P. Baldwin, the son of missionaries, is the original owner and was responsible for teaming up with Samuel Alexander (of Alexander & Baldwin) to help create the irrigation system that now waters the sugarcane seen across Central Maui. A total of 30,000 acres, rising from south Maui up to the leeward slopes of Mount Haleakala, this ranch now hosts approximately 1,100 breeding cows, 2,000 nanny goats and 350 ewes. Their natural grass-fed beef can be purchased in local grocers and restaurants through their partner, Maui Cattle Company. 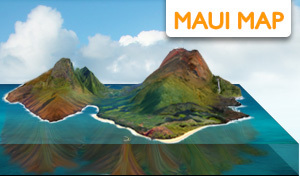 Maui companies residing on the ranch include Maui Lavender & Botanicals, Skyline Eco-Adventures, Pony Express Tours, Maui Floral Protea, Tropical Flower Farm, Haleakala Distillers and Maui Nui Farm & Farmers Market are located on Haleakala Ranch land. Owned by Henry Rice, this ranch is comprised of 10,000 acres that stretch continuously from the beaches of South Maui to the top of Mount Haleakala, and is estimated to be worth close to $50 million. The Department of Land and Natural Resources say it is one of the very last intact ahupua'a left in Hawaii. An ahupuaʼa is a type of ancient Hawaiian land division that stretches from mountain to sea that sustainably supports the landʼs natural resources. The Rices have employed the same native Hawaiian cowboys for decades, and they refuse to sell and break up the ahupua'a. Henry Rice acquired the land from his grandfather, Maui senator Harold W. Rice, who is said to have bought it from a sugar magnate, who bought it from a Chinese potato farmer, who had received the original ahupua'a from a Hawaiian. Ulupalakua Ranch is Maui's second largest cattle ranch. The peak size was approximately 40,000 acres, 20,000 of those acres have been turned over to the State of Hawaii Department of Hawaiian Home Lands and also to the State of Hawaii Department of Land and Natural Resources to be preserved as parkland. Known as Rose Ranch in the late 1800ʻs, the ranch was a favorite of King Kalakaua, where a special cabin was built for the king and his royal party. The bare slopes were once covered with Sandalwood and Koa trees. Pardee Erdman purchased the ranch in 1956 and renamed it the Ulupalakua Ranch, he continues to maintain the land today. Visitors love strolling the grounds near the Winery and exploring the history and old structures there. 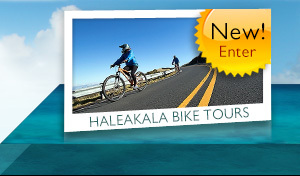 Compare all the main bike tours on Maui. Find the best for you. 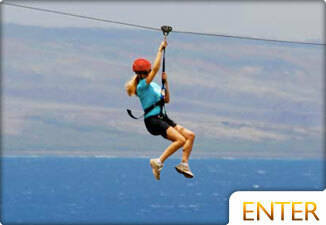 Zipline along the slopes of Haleakala with great views and excitement. Find out what other great restaurants are Upcountry.